The Oswego Festival Chorus is seeking singers for the fall 2014 semester. 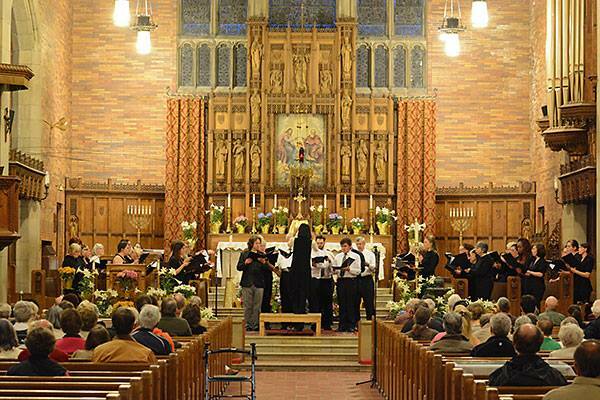 Festival Chorus is a non-auditioned choir that sings major classical, choral works. Rehearsals begin August 25 at 7 p.m. and will be held in Room 101 of Lanigan Hall on the SUNY Oswego campus. Rehearsals are held every Monday from 7-9 p.m. and follow the semester calendar. Parking permits will be provided for all chorus members. This fall, the choir will be singing John Rutter’s Gloria with the concert being scheduled for December 2 at 7:30 p.m. at St. Mary’s Catholic Church in Oswego. 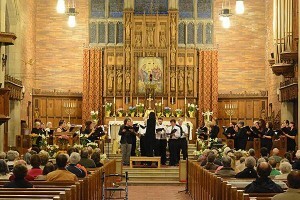 Oswego Festival Chorus can be found on Facebook at https://www.facebook.com/pages/Oswego-Festival-Chorus/358075801013415.